The suicide bomber who killed seven CIA agents in Afghanistan had been courted by the US as a possible informant, US intelligence sources have said. They said he had not undergone the usual full body search before entering the base in Khost province, and so was able to smuggle in an explosive belt. The attack was the worst against US intelligence officials since the US embassy in Beirut was bombed in 1983. 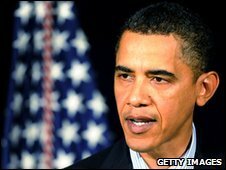 US President Barack Obama has praised the work of those killed in a letter. Paying tribute to the fallen, Mr Obama said those killed were “part of a long line of patriots who have made great sacrifices for their fellow citizens, and for our way of life”. He told CIA employees in a letter that the victims had “taken great risks to protect our country” and that their sacrifices had “sometimes been unknown to your fellow citizens, your friends, and even your families”. From the moment the bomb was detonated inside the base on Wednesday, says the BBC’s Peter Greste in Kabul, questions were raised about how he managed to pass through security. But now intelligence sources familiar with the investigation have said that CIA agents working from Forward Operating Base Chapman had been attempting to recruit the man as a potential informant. A US official, and former CIA employee, said such people were often not required to go through full security checks in order to help gain their trust. “When you’re trying to build a rapport and literally ask them to risk [their lives] for you, you’ve got a lot to do to build their trust,” he told the Associated Press news agency. The Taliban have said one of their members carried out the attack. Spokesman Zabiullah Mujahid told the BBC the Khost bomber was wearing an army uniform when he managed to breach security at the base, detonating his explosives belt in the gym. However, this claim was denied by the Afghan defence ministry. “This is the Taliban talking and nothing the Taliban says should be believed,” said ministry spokesman Zahir Azimi. Neither the names of the CIA officials killed nor the details of their work have been released because of the sensitivity of US operations, the agency said. But the head of the base – who was reported to be a mother of three – was said to be among the dead. As chief, she would have led intelligence-gathering operations in Khost, a hotbed of Taliban activity due to its proximity to Pakistan’s lawless tribal region. CIA Director Leon Panetta said six other agents had been injured in the attack. He said the dead and injured had been “far from home and close to the enemy”. “We owe them our deepest gratitude, and we pledge to them and their families that we will never cease fighting for the cause to which they dedicated their lives – a safer America,” he said. The flags at the CIA headquarters in Langley, Virginia, are being flown at half-mast in honour of the dead. Forward Operating Base Chapman, a former Soviet military base, is used not only by the CIA but also by provincial reconstruction teams, which include both soldiers and civilians. The airfield is reportedly used for US drone attacks on suspected militants in neighbouring Pakistan. 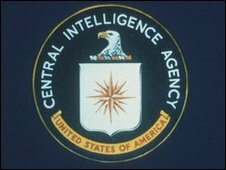 A total of 90 CIA employees have been honoured for their deaths in the agency’s service since its inception in 1947, according to the Washington Post newspaper.